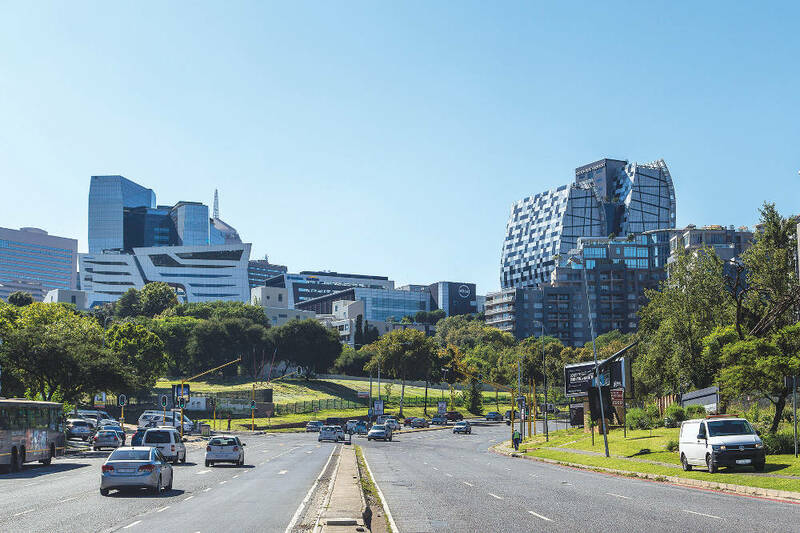 Parkmore is a family-friendly suburb in close proximity to Joburg’s “richest square mile” of Sandton Central, but far more quiet and laid back, with properties starting at around R2m. The area also has many open spaces and green parks, ideal for exercise enthusiasts and families with children. Freelance copywriter Tiffany Markman has lived in Parkmore with her husband and seven-year-old daughter for four and a half years. She grew up in Sandton but she and her family were living in an apartment in Hyde Park while house hunting for a family home, not thinking they would return to the area. 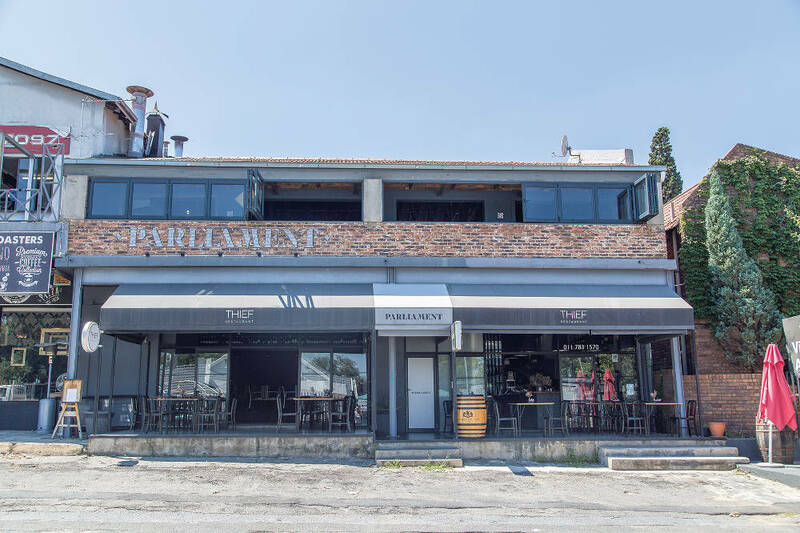 “Parkmore wasn’t on our radar. We were looking more in Craighall Park and Greenside. We’d been searching for exactly a year – January to January – when we saw an ad in the property guide for a house in Parkmore. So we added it to the list of a whole host of homes to look at that Sunday,” she says. They had a list of things they didn’t want in a home, which included the property being situated on a corner or having face-brick walls, and when they saw this house had both those features, they almost didn’t go in. “But then we did, and while we were only ‘moderately’-whelmed, that was more than we’d felt about any other place. We could see that if we painted it bright colours, it would be awesome. And I fell in love with the office,” Tiffany says. Parkmore is school central, with a number of great government and private schools dotted in the suburb and its surrounds. “Montrose is just up the road. I have friends with kids there. It’s an outstanding government school that does lots of community stuff, like cricket and night netball,” says Tiffany. 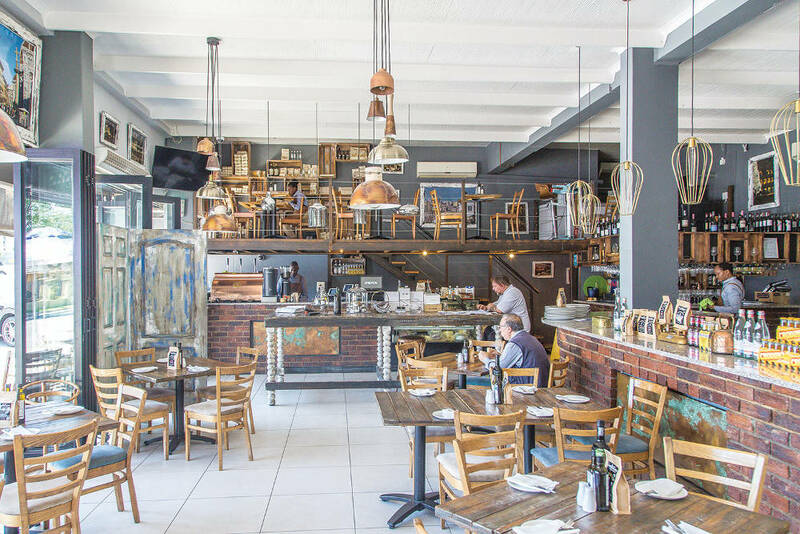 She adds that there are many preschools in the area, and that it’s close to Bryanston High, Bryneven, Grayston Preparatory, Redhill and Crawford Benmore. 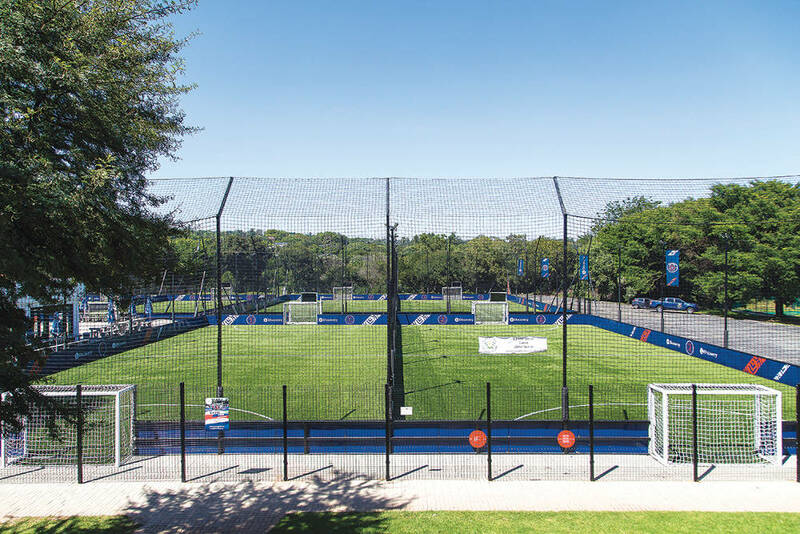 The Milk Bar is located in the Sandton Sports Club, which Tiffany says has become very community focussed, with jumping castles on the weekend as people enjoy the various sports fields in the complex. Tiffany shops at Benmore Shopping Centre, which she says has become “quite larney” with its exclusive chic shops, Exclusive Books, Woolworths, and Pick n Pay. For someone who wasn’t intending to move to the area, Tiffany has certainly settled into her new hood. 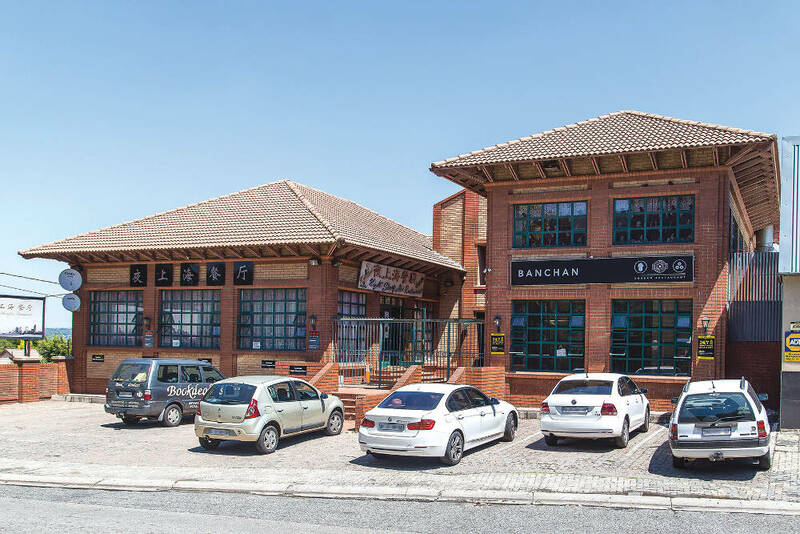 It’s clear the suburb is a great place to live and raise children, and for those who need to get to and from Sandton, but still want to live in the suburbs, it has the best of both worlds. 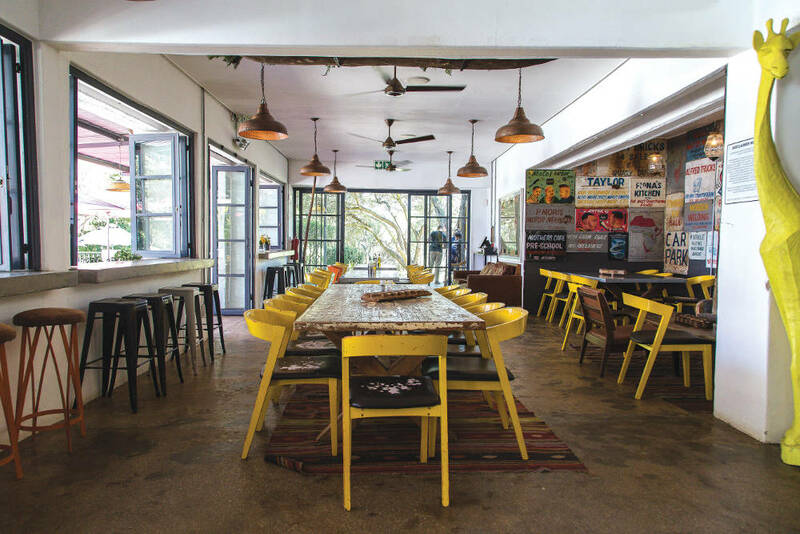 Visit the George Lea Park for some exercise and open space, then enjoy breakfast or lunch at the African-themed Milk Bar. Treat yourself to an indulgent day out at The Michelangelo Spa & Gym in Mandela Square. Enjoy an evening of culture at the Auto & General Theatre on The Square. Visit the Sandton Library for its many-levelled sections, natural light and comfortable reading nooks. Sign up for art lessons or bridge, web design or photography courses at the Sandton Field & Study Centre.